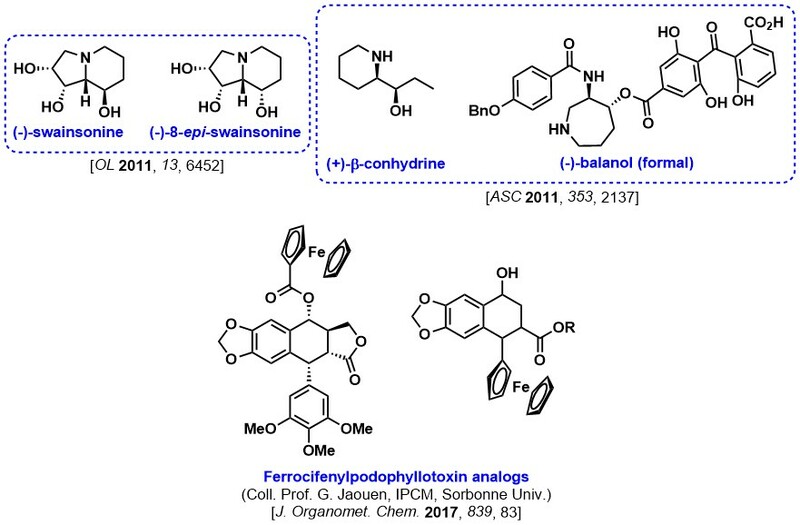 The team is engaged in the synthesis of several targets of general synthetic interest by applying in-house developed methodologies as key steps. The following file shows the targets that have been prepared between 2007 and 2010. The research of the team in this area, classified by date, is exemplified here below by a concise description of the publications spanning the period 2011-2017.